Many of life’s important events require some degree of planning and consideration: a wedding, children, retirement. These events usually impact not just the individual but his or her family members as well, and we find comfort in including those we love in major life decisions. End-of-life and funeral planning should be no different. You want to be sure that all of the details are taken care of, so that your family can take comfort in knowing that your wishes were expressed and realized. There are many reasons for pre-planning funerals…none more important than your family. By pre-planning, you spare your family difficult decisions at a difficult time. They will not have to search for records, insurance policies, addresses and other important items. You will also eliminate their doubts. Wondering what you would have wanted is an added burden for family members who are already dealing with grief from their loss. We offer a wide choice of services and several funding options designed to simplify pre-payment. One example would be funding a single-pay whole life insurance policy. Depending on your age and health, you may save thousands of dollars. Other options offer tax advantages. But most of all, you will be sheltering your assets and not placing the financial burden on your family. It allows for making deliberate, informed decisions ahead of time, instead of hasty, emotional choices, often made at the time of need. You can make known your true wishes about every detail of funeral planning and even confer with family and friends. Whether you are planning for yourself or a loved one, our staff will help you with all the details. Planning for the future can help ease the burden of your passing for your family members. 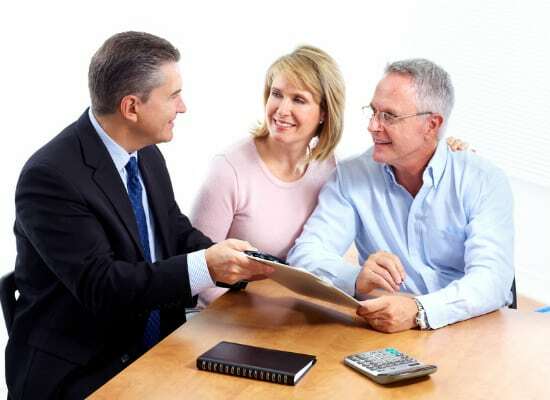 We have included some of the most common questions about estate planning in this list. If you have any other concerns, please contact the funeral home. One thing you should not do is put your will in a bank vault or safe deposit box. Keep your will and other important papers in another safe place. Safe deposit boxes are often sealed for a period of time at the owner’s death. Make sure your insurance coverage is up to date. Major changes in life circumstances such as marriage, the birth or adoption of a child, divorce, or retirement can change your insurance needs. Where does the money go that I prepay into the plan? Gilberg-Hartwig Funeral Home will deposit 100% of the money received toward a Funeral Plan into a Irrevocable Burial Contract by using an Insurance product, where it cannot be released to us until after the funeral you have chosen has been provided for you. 100% of the money you have pre-paid will be used for your funeral. In a burial contract there could be GUARANTEED and NON-GUARANTEED items that the funeral home has no control over. How can I be sure the funeral home won't charge my loved ones more at the time of my funeral? If you have an Irrevocable Burial Contract the funeral home is contractually obligated to provide all the services and merchandise included in your plan. The only change would be if survivors would wish to purchase any merchandise or service in addition to the prearranged plan. What if the cost of the funeral service I prepay is greatly increased in cost at the time of my death? By contract, Gilberg-Hartwig Funeral Home guarantees to provide those funeral goods and services that you have chosen to be included in your Burial Contract at the time of need no matter how many years prior to use your plan was established. Current costs of inflation are paid thru the growth of the contract. What if your funeral home is no longer in business at the time of my death? Because your money is held in a certified Trust governed by state law, it will always be there for your funeral, even if our funeral home were to be purchased or go out of business. What if my family moves out of the area before I die? Do we lose the money we paid? Should you move outside of our service area, your Pre Need Funeral Plan provides those funds for your funeral at the funeral home of your choice. Won't my life insurance benefits cover all my funeral expenses? It may, but aren’t your life insurance benefits intended for your spouse’s security or your child’s education? Also, the cost of a funeral continues to rise, while your life insurance benefits don’t increase over time. Doesn't Social Security provide a death benefit? Social Security provides a lump-sum payment of only $255, and only of you qualify! Well below the cost of any funeral. Shouldn't I wait until I'm older to deal with this? No. The younger you are, the more you have to gain. Prices will continue to rise until you freeze your costs by your purchase. How do I know you will really put my money in a Trust? Each Pre Need Funeral Plan is registered with the State and all Trust Fund records are periodically audited to assure the deposit of funds. Can the Funeral Home ever cancel My Pre Need Funeral Plan? Absolutely not. The Pre Need Funeral Plan cannot be canceled by the Funeral Home. HOW DO YOU PRE-PAY FOR A FUNERAL? The first method is to make payment in full. Based on age, you could arrange a burial contract on a three, five or ten year installments with NO HEALTH RESTRICTIONS. Pre-funding funerals is a growing trend in America because of the peace of mind that comes from having one’s affairs in order. Funding those arrangements with insurance coverage or a trust are the two ways we handle pre-funding. Based on which way you would fund your pre-need determines the GUARANTEED or NON-GUARANTEED services and merchandise. The funding vehicles we use are Homesteader’s Life Insurance Company, Cincinnati Equitable Insurance and the Ohio Funeral Director’s Master Trust. All of the companies meet the secured regulations of the State of Ohio. Our plan provides life insurance benefits that are exempt from federal income tax when paid to a named beneficiary. Neither the increasing value of the coverage nor the total benefits paid at the time of death are federal income taxable. Planning in advance of need provides peace of mind. The death of a loved one is a time of great loss and advance planning can reduce stress for your family with the knowledge that your preplan has been completed. This allows your loved ones to devote more time to coping and understanding the loss and less time concerned with funeral arrangements and financial details. Your Funeral Director understands that your personal choices are of the utmost importance. Your Funeral Director will meet with you to show the quality merchandise, assist you with the selection of the necessary merchandise and help you make the proper arrangements. Through pre-planning the cost of a funeral will be controlled. Merchandise selection during your pre-planning helps insure that you do not exceed what you want to pay. Pre-payment also offsets the risk of rising funeral costs in the future due to inflation.